Our garden the kiddo's built last year for their homeschool science project. Remember the post about the bunnies? Hopefully this will take care of that little problem! Here lies our beloved little Hamster, Bolt. Read about her passing on Natalie's blog. 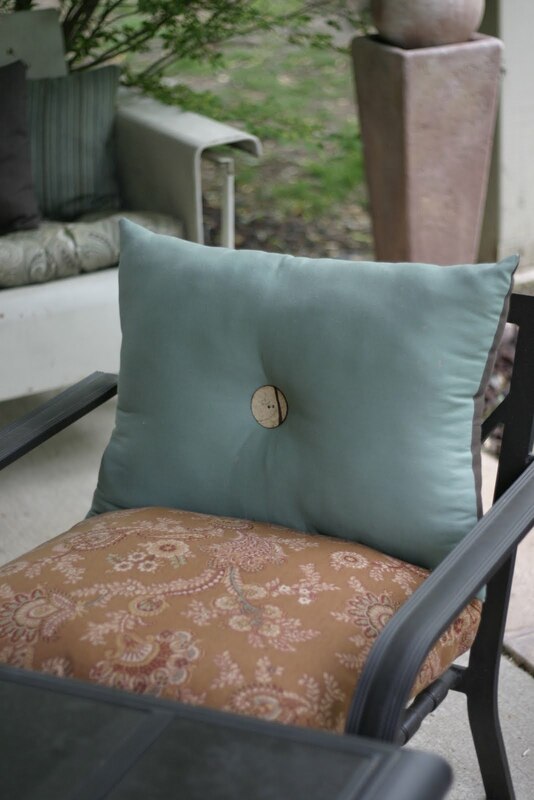 These are the cushions I made for our patio furniture as our old one's were pretty ratty. You have a beautiful backyard and I love "Welcome to Our Farm" sign! You are such a good mom doing this with your kids! 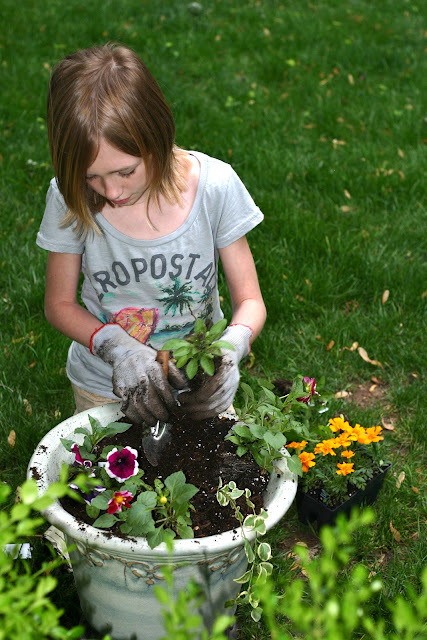 What a cute gardener you have - and isn't she doing a great job! Great photos. Are the bunnies still causing havoc? Beautiful! I spent this weekend planting all my lovely herbs. Even found chervil, my fave, at Rogers. Awww I love your photos! I can't wait till this weather gets warmer so we can enjoy the outdoors, too! It's 41 degrees today...blah! Diana, I have never had chervil. What do you use it in? @Diethood, I'm so sorry :( I'm thankful I don't live wherever you are! Lovely photos...and gardener! I'm with Diethood-it was 40 degrees here too! Can't wait for warmer temperatures but I guess I'll just have to live vicariously through your photos!